At RALPH JAMES you’ll find a team of interested, approachable and understanding people. If you’d like some help in finding the perfect neighbourhood for you, we’d love to lend a hand. Best for schools? Best for transport? Best for an almond croissant? No matter what your question, and whatever you want from your new address, our local knowledge will help you end up in the right place. For the latest available properties sign up for email property alerts, or jump to our blog and social media channels for all that’s happening in the neighbourhood, in the property market, and at RALPH JAMES. Redhill dates back to around 1850 and grew largely from the coming of the railways, a legacy that has remained very much a part of the town’s fortunes. Even Ronnie Biggs was arrested here for his part in the Great Train Robbery. The town centre has a street market every Thursday, Friday and Saturday – sometimes including a French market – along with a wide pedestrianised Victorian high street that features some beautiful red brick architecture. There are also two shopping centres – The Belfry and Warwick Quadrant. For most of its life, Redhill has remained somewhat in the shadow of the nearby market town of Reigate. In practical terms that makes property prices about 20% cheaper than its neighbour, but Redhill also differs through its collection of distinctive neighbourhoods that cater to particular sectors of the market. Among them are Earlswood – great for families with its excellent schools, Nutfield – a slice of picturesque village life, and Salfords – offering affordability and modern first-buyer housing. Redhill also has far superior rail links, sitting on the main line between London, Gatwick Airport and Brighton, with fast trains taking just 28 minutes to London Victoria. Plenty of people from Reigate make the one-mile journey to pick up the fast service, but it may not be long before Redhill becomes a destination address to live in, as well as to travel through. 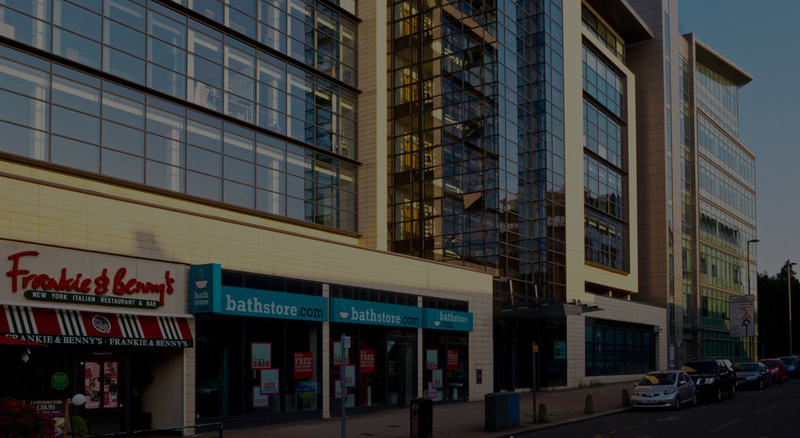 The local authority is investing heavily in the town centre, attracting respected retailers such as Waitrose and Marks & Spencer, a new Sainsbury’s superstore & hotel development, and around 150 town centre apartments. Contributing to an added dimension that will seriously change the shape of Redhill and give it a lifestyle extending right through the evening, plans are also afoot to build a 6-screen cinema, retail and restaurant complex. With it taking longer to commute into Central London from some of the suburbs than it does to get there from Redhill, London buyers are already coming here and bringing with them prosperity and vitality. 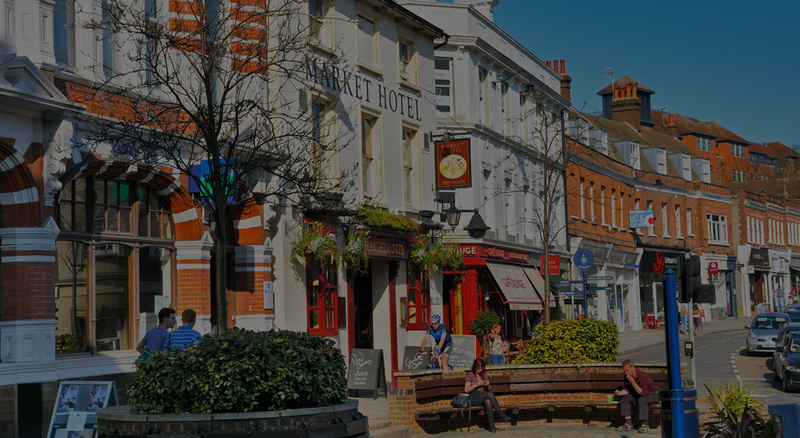 Affordable, convenient and very much on the up, Redhill is on the verge of becoming the perfect commuter town with a bright and happy future. Surrounded by the rolling countryside of the North Downs, Reigate is a beautiful, charming and quintessentially English medieval market town. Its gets a mention in the Domesday Book and its history can be traced all the way back to the aftermath of the Battle of Hastings. A number of archaeological finds have taken place here, including a castle and underground caves, while much of the town centre has been designated as a conservation area of special historic interest. A palpable sense of community runs through Reigate’s streets and beautiful parks, prompting regular appearances in the Sunday Times list of the Best Places to Live in Britain. Don’t be surprised if you bump into a famous face or two when wandering around the town. Being at home in Reigate really is the good life. A healthy infusion of independent shops and boutiques sit alongside larger retailers to give the town centre a unique and vibrant character that continues beyond the working day. Over 30 restaurants, including two in the Michelin Guide, have turned Reigate into something of a foodie Mecca and Friday and Saturday evenings hum with the satisfied murmurs of well-fed locals. Make sure to book! You’ll also find some of the best education in Surrey here, at every learning level. Reigate Grammar and Reigate Priory Schools are regular high achievers, while the further study and training offered at Reigate College is rated ‘outstanding’ by Ofsted. Reigate station is on a direct line to Gatwick Airport, London Bridge and Reading. However, many commuters who live in the town head to Redhill station, just a mile down the road, for the fast line to London Victoria with a journey time of just 28 minutes.